Learn to Read Korean in 15 Min – a comic strip, but it’s actually pretty awesome. Hangul keyboard stickers: from amazon.co.uk or from amazon.com. About Hangul (interesting bits of info from the National Institute of the Korean Language). Book: Complete Korean. A Teach-Yourself book I own and will review eventually. Vocabulary: “Korean Word of the Day” from Koreanclass101. You will have to sign up for a free account with them. 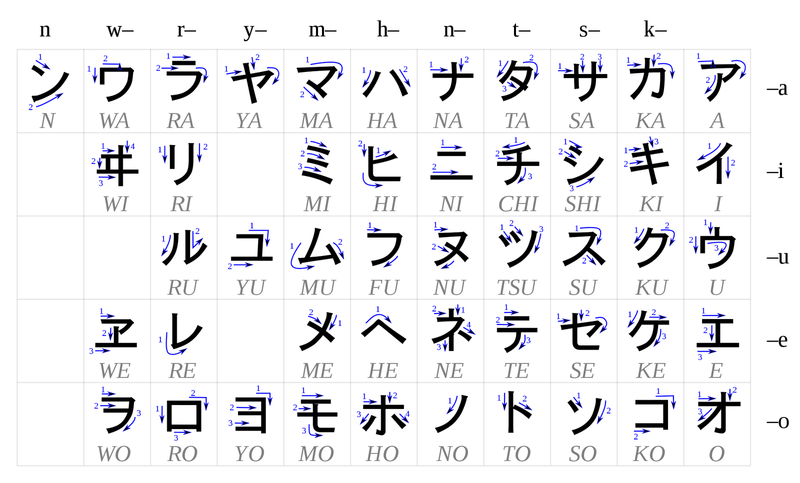 Hiragana & Katakana Chart 1(external link). Fun place to learn some Kanji: Kanjidamage. Or say they proclaim: “where you can learn 1,700 kanji using Yo Mama jokes”. More places to learn those pesky kanjis: Kanji Land and Kanji Dartmouth. Typing in Kana and Kanji on a Mac is covered pretty thoroughly here, including installing the necessary language settings, how to type small kana and trackpad writing for Kanji. Book: Wayne P. Lammers’s Japanese the Manga Way is excellent. You can obtain it at amazon.com and amazon.co.uk. It was recommended to me by one of two my PhD supervisors (the one I call ‘the linguist genius’ who obviously knows what s/he is talking about). Book: In my Japanese class we use the みんなの日本語 (Minna no Ninhongo) and the Japanese for Busy People book series. No complaints about them really! They come both in a Romanised and a Kana version, I would recommend the latter even though it’s a bit more work at first (you’ll have to learn your Kana!). Make sure you buy the most recent edition of the books though. Book: Complete Japanese. I have this too and intend to review it at some point. Vocabulary: Transparent Language has a “Japanese Word of the Day” feature. 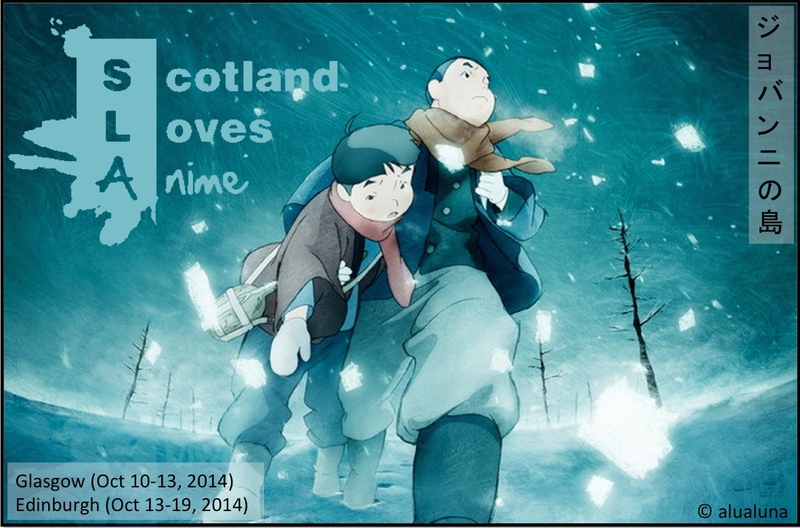 You can subscribe by email, Facebook and Twitter, etc. Stupidly they generally use Kanji script for the word introduced without a hiragana/romaji equivalent provided. All kinds of things: Tofugu is a pretty cool website. They cover all kinds of things Japanese and have an awesome language resource section, including their own TextFugu course (not free, but looks good fun). Plus, you can’t go wrong with a name like Tofugu. Both 한국 (Korean) and 日本語 (Japanese) have their own writing systems, which can feel a little overwhelming if you have only dealt with Roman alphabets so far. However, I don’t think that should put you off: Hangul, the Korean alphabet, is very easy to learn and has been described as one of the most logical writing systems. Unlike in English, each letter actually corresponds to a phoneme (sound) and there are clear rules on how letters are combined to form syllables. The number of phonemes to learn is certainly manageable and there are also logical connections between the different symbols: e.g. ㅏ(a) andㅑ(ya) both have right-facing dashes, ㅗ (o) and ㅛ (yo) have up-ward facing dashes, and if there is a ‘j’ sound involved (like withㅑand ㅛ), there are two rather than one dash. Additionally, the letters are also designed to indicate the features of the sound they represent, e.g. all plosive sounds have the same kind of stroke – a ‘plosive’ is a term in phonetics for a particular kind of consonant (see also Wikipedia on Hangul’s letter design). Writing in Japanese is not quite so straightforward, in part because there are actually several writing systems, which are syllable or word based rather than sound based. Because syllables and words consist of combination of sounds, you can already imagine that this inevitably means an exponential increase in the number of symbols. which can be used to write words. み (mi), ま (ma), き (ki), が (ka). The latter four don’t appear in the Japanese language as such as sounds combine to make words in a different way than in Korean. This is Hoshi no Koe (Hoshi = star, no = possessive particle, Koe = voice, i.e. “Star’s voice”), the literally translated title of Voices of a Distant Star, a Shinkai Makoto anime. However, ほし isn’t the only way to write hoshi/star, it can also be represented by 星 as you can see in the title of another Shinkai anime: 星を追う子ども (Hoshi o Ou Kodomo/Children who Chase Lost Voices from Deep Below – more literally “Children follow stars”). You can also write ホシ. ほし uses hiragana, 星 is a kanji symbol, while ホシ is katakana. Kanji are Chinese characters (representing syllables or even whole words) adopted (and adapted) into the Japanese language. Hiragana and katakana, meanwhile, are syllable-based symbols that make up kana, with hiragana being used for native Japanese words and katakana for foreign words and names, among other things. When do you use kanji, when kana? Kanji and kana often appear in combination – and, honestly, I have no idea if there are particular rules for this. I’m still figuring out that part myself. Kanji is more prestigious – it’s more difficult to learn. It’s not necessarily meant for everyday usage, but it is the ‘educated’ writing system. In school, children have special classes for learning how to write kanji. Tanaka-san wa tenisu ga jōzu desu. Tanaka-san is skilful at tennis. Kanji, hiragana and katakana are all used in this sentence. The proper name, 田中, uses kanji, although interestingly the -san suffix is in hiragana. Meanwhile, テニス (tenisu/tennis) is obviously a foreign import and therefore written in katakana. But how to learn them all? Obviously you will just have to memorise all the symbols, which may seem impossible. I have only learnt a fraction of them so far myself, but I love the Japanese writing systems just as much as the much easier Korean one – I think they are all fascinating and simply fabulous. They are fun – like a secret code to decipher! For Kanji, I learn at least two new Kanji every week and practice writing them pretty much every day! I’m keeping track here. What I also do is whenever I see writing in Japanese script is to try and see how many symbols I can recognise. If I have time, I will look up some of the ones I don’t know or remember, and slowly, symbol by symbol, I learn new ones. Film titles are great for this. The Japanese restaurant chain わさび (Wasabi) in London literally made me stop in my tracks once, because I simply had to note down the letters. Menus in restaurants can be bilingual too – so you have just to look out for opportunities for practice really. In fact, the main reason I subscribe to 김재중/Jaejoong’s twitter feed is because he writes both in Korean and Japanese. I have also added 新津 誠/Shinkai Makoto recently, because every now and then I take a moment to decipher (usually with the help of Google Translate) something from his daily deluge of words.